Mulch may be used for aesthetic or beneficial purposes around the foundation of a home, in landscaping around trees and shrubs, and as a garden cover in the fall. Mulches are of the organic or inorganic varieties, but for both, the color of mulch used can be a key aspect of its attraction or deterrence to insect pests. This has been confirmed by a number of university studies, as described in this article. Yellow and black tend to attract insects. 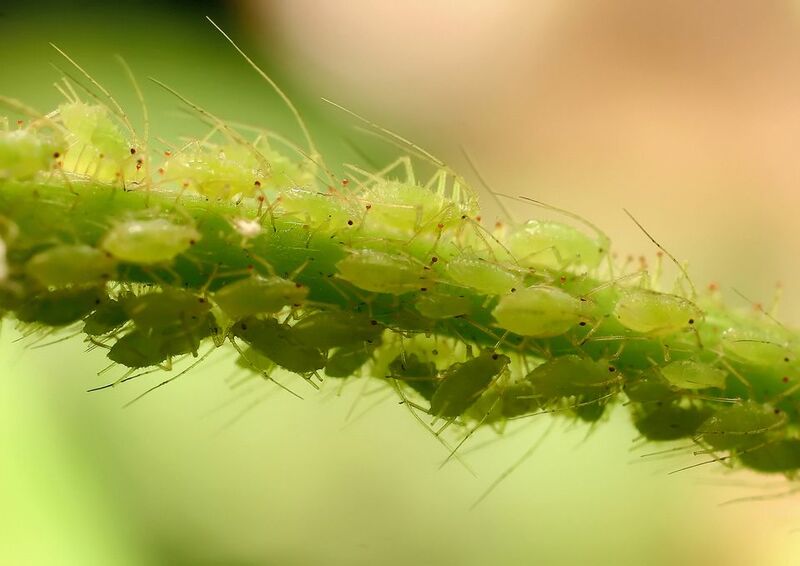 Silver (e.g., metalized, reflective plastic) repels aphids and tends to attract fewer insects overall. While noting these generalities, it is also important to understand the specific insects attracted or deterred by each color, as the attraction of beneficial insects can be a good thing, while the deterrence of pest insects is generally desirable. Thysanoptera, Homoptera, Aphididae, Coleoptera, and Hemiptera – Attracted by black. Hymenoptera – Attracted by silver. It is important to note that there are few insect pests in this insect order, rather most are beneficial insects. Other Penn State Research specifically focused on the best color of mulch to use with specific vegetable crops for both insect and disease reduction. The best color of plastic mulch to use for each type of plant, as compared to black, is listed below, as determined by 10 years of study. Cantaloupe – Green infrared thermal or dark blue mulch. These colors increased the average marketable yield by 35% (three-year period). White or black mulch was the worst colors to use, although, again, use of these colors in southern climates would have a completely different impact. Eggplant – Red mulch. The use of red mulch produced an average 12% increase in marketable yield over a 2 year period. This was most evident when the plants were stressed. Onion - Red, metalized silver and black. These colors were compared with not using any plastic mulch, and yielded an average increase of 24%. This impact was seen on eight of the varieties of red onion tested, however, there were significant differences between varieties. Peppers - Silver mulch. When compared to black and green, the use of silver mulch increased marketability by about 20% in the three-year period of study. White and light blue mulch was seen as the worst colors as their use produced the lowest marketable yield. However, the study notes that the impact of white mulch would be vastly different in southern climates. Potato – Black, then red, with some benefits to metalized silver. When compared to the use of no plastic mulch, use of any of the three colors resulted in an average marketable yield increase of 24% and the fewest Colorado Potato beetle adults. A cooler than normal season also could make the metalized silver mulch less effective. Like onions, there also is significant variation in results between potato varieties. Tomatoes – Red mulch. Use of red mulch reduced early blight, providing a 12% increase in marketable tomatoes over a three-year period. This benefit is reduced when the plant is grown in ideal environmental conditions. Do Dryer Sheets Repel Mosquitoes, Spiders, or Other Insects? Did You Know ... Insects can be used as medical cures?